As long range shooting continues to evolve through greater rifle and bullet technologies, so too has the cost of training to become a proficient shooter in the sport. Federal now seeks to change all that with one of the most cost effective long range rifle rounds to ever be produced in mass. 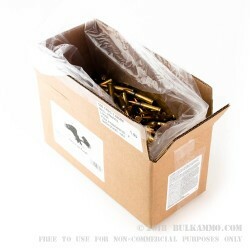 The Federal XM80 149gr .308 Full Metal Jacket is everything that you need a range ammo, without any of the additional added costs that you don’t. 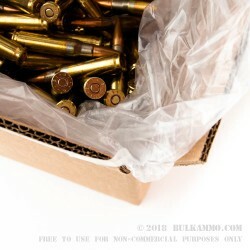 The 149gr .308 utilizes a bi-metal jacket makes for some of the most accurate and hard hitting range ammunition with the large caliber market.The brass cases are 100% new unfired brass, and are perfect for reloading after a long weekend on the range. 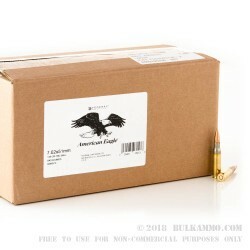 At an average muzzle velocity of 2,750 feet per second, Federal XM80 149gr .308 Full Metal Jacket ammunition has an max effective range out to 700 yards, and is perfectly suited both up close and long range encounters that are commonly held in three gun competitions across the country. 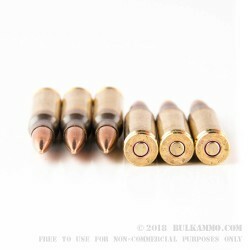 If you are looking for a round that is heavy on performance and light on cost, than the Federal XM80 149gr .308 Full Metal Jacket is perfect training companion.